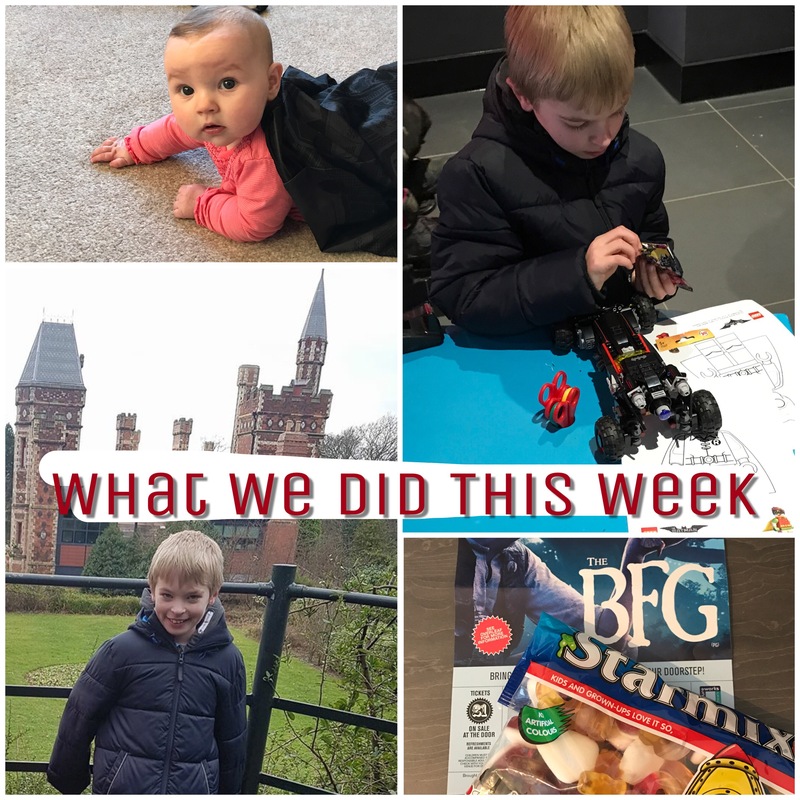 So this week has been half term for us, and as I shared on Monday I wasn’t looking forward to it (to say the least). I planned a couple of activities to keep Oliver entertained, nothing suitable to Grace particularly but then there’s not much geared for five month olds in school holidays! Mondays activity was to go for a walk. Nothing too exciting but never mind! I needed to go to the post office so I used the opportunity to get Grace to have a nap and use up some of Oliver’s energy, rather than heading out in the car we went walking for an hour. He also spent some of his money on a new magazine so that kept him busy when we got home. Bonus!! We were meeting a friend of mine who has a daughter the same age as Oliver. They had only met once before, and were shy then, so I didn’t know how well they would play. Turns out they got on really well and spent an age building a den – sorry to the people of Saltwell Park, I don’t think these bushes will be growing many leaves this spring!! Me and my friend were frozen, but what does that matter when the littlies are having fun. This was more of a lazy day. We called in at a friends this morning for a quick catch up then had an afternoon of housework (for me mainly) and Lego building (for Oliver mainly). It was nice to tidy up, that’s such a Mum thing to say isn’t it!!! Oliver had been asking me the other day whether he had any Lego sets to build so him tidying away some toys worked out well for both of us when he found a new one hidden behind some other boxes. I also feel better having a bit of a clean up, I’m not going as far as saying it’s a tidy house though! Today we were meant to go to Wharton Park in Durham. I’ve never been and Oliver can’t remember when my Mum took him a few years ago, but since then it’s had a £3million refurbishment and reopened last year. It has play areas, mini cars and a cafe amongst other things. I’ve heard really good things about it but the bad weather stopped us from going 🙁 thanks Doris. Instead we went to Dalton Park where they had free mask making at Cineworld. I found out about this from North East Family Fun, they had done a round up of all the activities available this half term. Dalton Park is an open air outlet shopping centre in County Durham, but it does have some canopy roofing to keep some of the wind or rain out. They have everything from M&S to Denby Pottery to Cadbury’s, but as with all outlet shops the stuff can be hit and miss. In the end Oliver didn’t join in with the mask making, I think he thought he was too cool for it haha, but we did do a kind of treasure hunt. 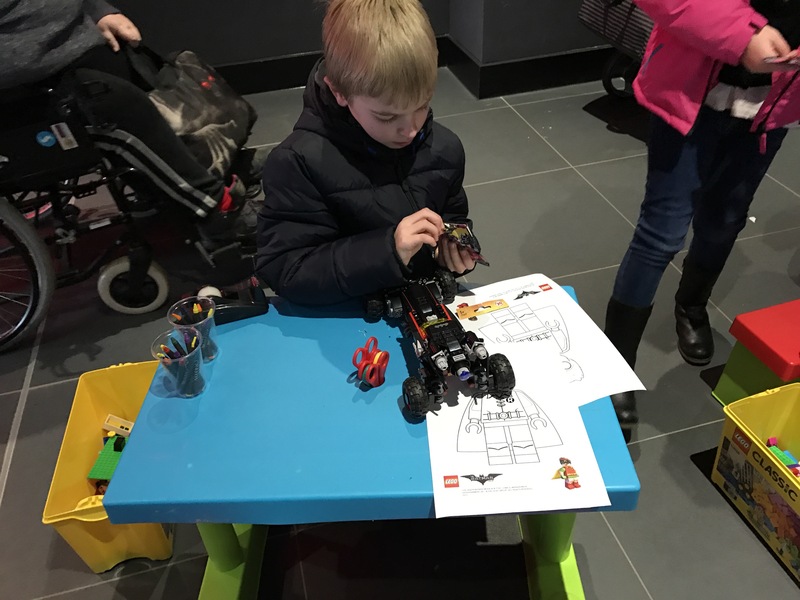 We had to find Lego hidden around the outlet (photos of Lego Baan characters), fill in a form with what we saw where and take it back to the Customer Services desk to get a prize which was either chocolate or a Lego Batman mini figure! I thought this was really good, a free activity with an ideal prize for Oliver (and other children around his age). Who doesn’t love Lego! We did call into Cineworld for my friends daughter to make a mask, and the session there was pretty busy. There was also colouring in, puzzles and tubs of Lego to play with, so another really good free activity. I like Dalton Park for their holiday activities. We don’t go often as it’s a bit out of the way for us, but free parking, free fun and now all the new restaurants and the cinema to add to the shops, it’s got something for everyone. I would definitely recommend it. 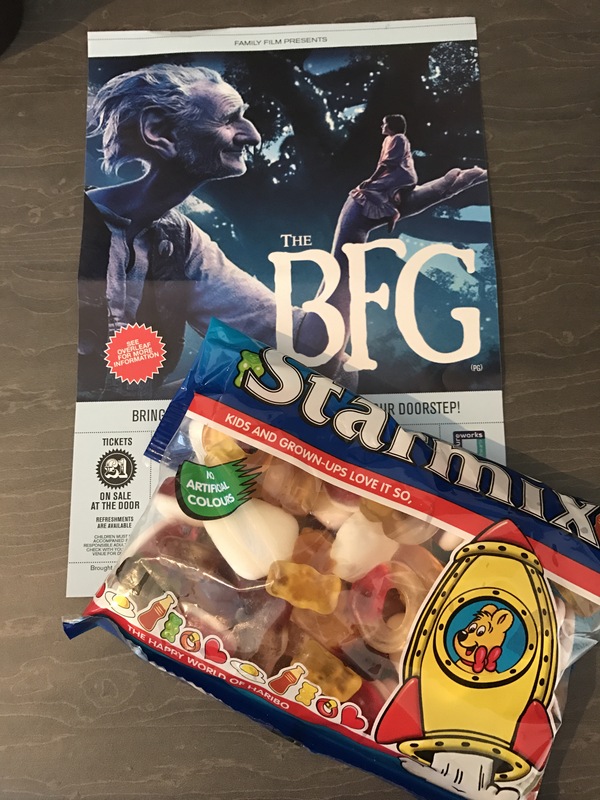 We planned today to go see a showing of The BFG film which came out last year. Every school holidays Oliver comes home with a leaflet for recent children’s films which are being shown in community centres for just £1 per person and I always think we’ll go but we never had. The choices this time were The Secret Life of Pets and The BFG. We got up and out as planned, and got there nice and early to make sure we could get good seats – there were 5 other people in a school theatre which holds a couple of hundred haha. But, we didn’t get to watch the film. Grace took one look at it all and didnt like it, not one bit. The film hadn’t even started and she was in bits. She doesn’t really cry, not properly, she normally whinges a bit or shouts when she’s unhappy but we don’t really get proper tears. This was full on tears and sobbing and I couldn’t find a way to calm her down. We left 10minutes in after I had paced the cafeteria, changing rooms and a corridor, as well as trying to feed her 🙁 Oliver was pretty upset about it, but we came home and had our own DIY movie day instead, curtains closed and lights off! And Grace stopped crying and had a nap! Yeah! I might try and plan in advance for Easter… Beamish Museum is definitely on the cards, only 9 more days to fill up!